Highlights include: Learning conference feedback, sports draws, Easter Goodies Raffle, Board Matters, and much much more! 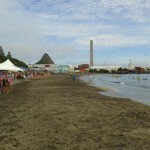 Congratulations to the 65 children who competed in the Weet Bix Tryathlon at Nagmotu Beach yesterday. It takes a huge effort to swim, bike and run, and you represented our school well. Well done to everyone involved, especially Mr George who won the School Co-Ordinator Award!